No último dia 28 de Abril, o repórter Wei Xi do site "Global Times", lançou um artigo entitulado : "O filho de Ip Man fala sobre o futuro do Ving Tsun (Wing Chun)" . Este artigo veio a público após ele ter visitado Hong Kong para entrevistar Ip Jung (Ou Ip Chun) , filho mais velho do homem que hoje é mais conhecido pelo grande público pelos filmes de Donnie Yen da franquia Ip Man. O Blog do Pereira traz para vocês a tradução deste artigo, mas os créditos são de: Globaltimes.com e do repórter Wei Xi. Na versão em inglês vamos respeitar a grafia e transliteração originais. On the last day April 28, the reporter Wei Xi from the site "Global Times", released an article entitled: "The son of Ip Man talks about the future of Ving Tsun (Wing Chun)." 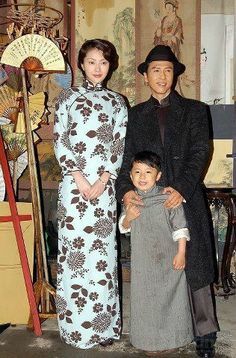 This article went public after he visited Hong Kong to interview Ip Jung (or Ip Chun), the eldest son of the man who is now better known by the general public for the film franchise starring Donnie Yen about his life. The "Peartree´s Blog" brings you the translation of this article, but the credits are: Globaltimes.com and reporter Wei Xi. In the English version will respect the spelling and transliteration original. Com a popularidade da franquia Ip Man e o filme "The Grandmasters", O Ving Tsun de Mestre Ip Man se tornou um nome familiar na China, bem como um valor representativo das artes marciais chinesas. Embora ele também seguido os passos de seu pai para se tornar um mestre de artes marciais em seu próprio direito, Ip Jung, filho mais velho de Ip Man, viveu uma vida relativamente quieta. Para alguém que não saiba sobre sua linhagem, Ip Chun se parece com um homem idoso comum que você pode encontrar na rua. O homem de 92 anos de idade anda pela "Ving Tsun Athletic Association" em Hong Kong. O dia em que me encontrei com ele, eu tinha uma imagem de uma celebridade "low-profile" em mente, então eu fui surpreendido por seu estilo simples e sem adornos: A gola de sua camiseta pólo preta era tão desgastada que tinha começado a rasgar e o relógio em seu pulso estava tão fora de moda que eu pensei que era um relógio de mulher. Assim como Ip, a sala onde ele e seus irmãos Kung Fu ensinam Ving Tsun era simples. Os poucos adornos em 20 metros quadrados ou menos da sala se consistiuem de um retrato preto e branco e uma escultura de Ip Man e várias placas sobre as quais as regras da escola foram escritas. Ip Jung em seu "escritório" - uma mesa, uma cadeira e um telefone - estava em um canto. Minha primeira impressão de entrar no mundo das artes marciais era muito diferente do que eu estava acostumado a ver em filmes e dramas de TV e até mesmo diferente das academias que ensinam artes marciais chinesas ou Taekwondo coreana no continente chinês. Ip me disse mais tarde que a sua taxa de matrícula é de HK $ 500 (US$ 64,45) por mês tem sido o mesmo há décadas, enquanto aulas de artes marciais semelhantes geralmente custam cerca de 150 yuans (US$ 23,07) por turma (uma hora) em cidades da China continental. 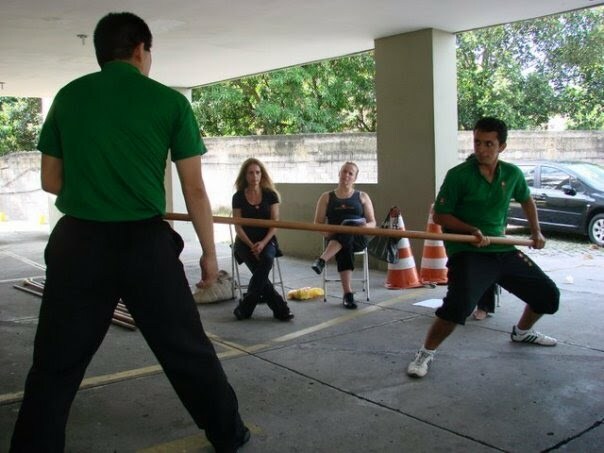 Filho de um mestre de kung fu, Ip Jun, no entanto, não se dedicou totalmente à transmissão de Ving Tsun, até chegar a idade de se aposentar: "Eu não tive a oportunidade de aprender Ving Tsun nos primeiros dias quando eu estava estudando no continente e meu pai estava em Hong Kong"- Ip me disse, acrescentando que mesmo depois que ele chegou em Hong Kong, mais tarde, ele estava ocupado com outras profissões: "No kung fu o ensino no início era apenas uma maneira de ganhar a vida como meu filho ainda era uma criança. Desde que meu pai ainda estava lá, era mais fácil para mim para ensinar aos outros com a sua orientação." No entanto, como Ip se acostumou ao seu papel de um instrutor, ele percebeu que ele tinha uma certa responsabilidade:"Eu percebi que tinha que ensinar meus alunos e discípulos bem, e por isso eu tinha que primeiro aprender bem para mim mesmo." Numa idade em que a maioria das pessoas passam seus dias descansando, Ip não só ensina Ving Tsun na associação, mas também em toda a Hong Kong e no continente. 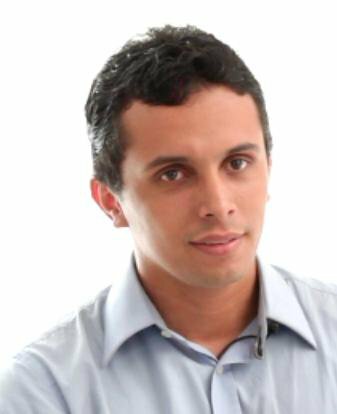 Quando perguntado se ele já tinha considerado fazer uma pausa de ensinar, Ip disse: "Vou continuar a trabalhar até que eu já não possa me mover. Não existe tal coisa como aposentadoria no ensino de artes marciais. Assim como uma linha em 'The Grandmasters' diz: ' Enquanto eu tiver fôlego, vou acender uma luz.' "
Num dia da semana, a maioria dos estudantes presentes foram de meia-idade ou homens idosos. Ip disse que não há uma tendência de alunos mais jovens e crianças à noite e nos fins de semana. O professor de tênis Charlie Hoang foi um dos estudantes presentes naquele dia. Hoang mudou-se para Hong Kong vindo dos EUA há seis anos e tem praticado o Ving Tsun nos últimos dois meses. Tendo aprendido Taekwondo antes, Hoang foi atraído pelo Ving Tsun, porque a arte marcial não é sobre força:. "Você não tem que ser fisicamente forte. Todo mundo pode fazê-lo", disse ele. Ter tempo para visitar a escola durante suas férias em Hong Kong, Tristan Charpentier disse que estava estudando Ving Tsun de volta à França por algum tempo já. Apresentado a ele por um amigo, Charpentier se apaixonou por esta arte marcial chinesa a primeira vez que ele viu. "Este é o lugar onde os muito famosos mestres são", Charpentier me disse. "[Quero] conhecer pessoas para ver as diferenças." Charpentier também apontou que Judo e Tawkwondo ainda são mais influentes do que as artes marciais chinesas na França, porque os dois últimos têm competições formais nas Olimpíadas, o que ajuda a sua popularidade. No entanto, acrescentou que o Ving Tsun tem se destacado de outras artes marciais chinesas nos últimos anos por causa dos filmes sobre Ip Man. With the popularity of the Ip Man franchise and The Grandmaster, Wing Chun kung fu master Ip Man has become a household name in China, as well as a representative figure of Chinese martial arts. Although he too followed in his father's footsteps to become a martial arts master in his own right, Ip Chun, Ip Man's eldest son, has lived a relatively quiter life. To someone who didn't know his lineage, Ip Chun looks just like an ordinary elderly man you might encounter on the street. 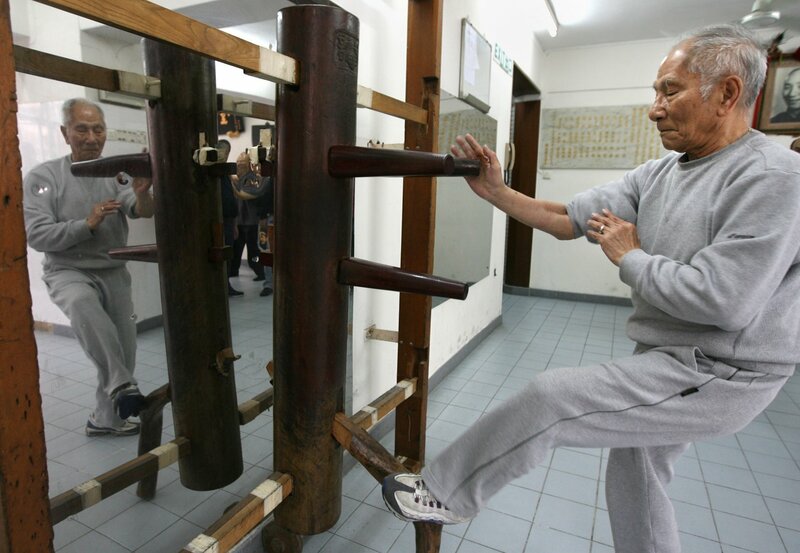 The 92-year-old runs the Ving Tsung (Wing Chun) Athletic Association in Hong Kong. The day I met with him, I had an image of a low-profile celebrity in mind, so I was surprised by his simple and unadorned style: The collar of his black polo T-shirt was so worn out that it had begun to tear, and the watch on his wrist was so out of fashion I thought it was a woman's watch. Just like Ip, the room where he and his fellow Wing Chun masters teach was simple. The few adornments in the 20-square-meter or so room consisted of a black and white portrait and a busted sculpture of Ip Man and several plaques upon which the rules of the school were written. Ip Chun's "office" - a table, a chair and a telephone - was in a corner. My first impression stepping into the world of martial arts was very different from what I was used to seeing in films and TV dramas and even different from the gyms that teach Chinese martial arts or Korean Taekwondo in the Chinese mainland. Ip told me later that their tuition fee of HK $500 ($64.45) a month has been the same for decades, while similar martial arts classes usually cost around 150 yuan ($23.07) per class (an hour) in cities in the mainland. Son of a kung fu master, Ip Chun, however, did not fully devote himself to passing on Wing Chun until he reached retirement age. "I did not have the chance to learn Wing Chun in the early days when I was studying on the mainland and my father was in Hong Kong," Ip told me, adding that even after he arrived in Hong Kong later on he was occupied with other professions. 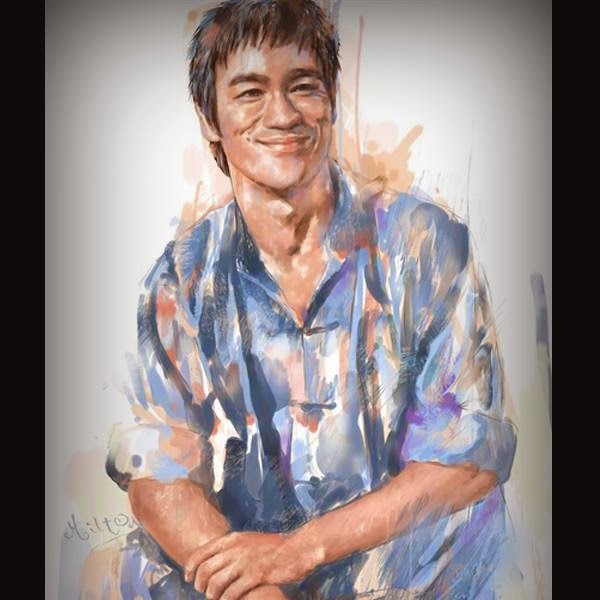 "At the start teaching kung fu was just a way to make a living as my son was still a child. 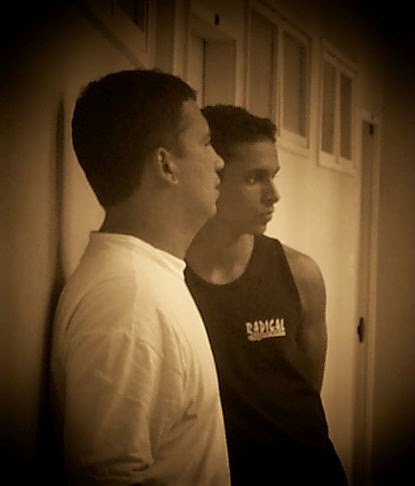 Since my father was still there, it was easier for me to teach others with his guidance." Yet, as Ip became accustomed to his role as an instructor, he realized that he had a certain responsibility, "I realized I had to teach my students and disciples well, and therefore I had to first learn it well myself." At an age when most people spend their days resting, Ip not only teaches Wing Chun at the association but also all across Hong Kong and the mainland. When asked if he had ever considered taking a break from teaching, Ip said, "I will continue to work until I can no longer move. "There is no such thing as 'retirement' in the teaching of martial arts. Just like a line in The Grandmaster, 'As long as I have breath, I will shine a light.'" A weekday morning, most of the students PRESENT were middle-age or elderly men. Ip said that there tends to be more young people and children in the evenings and during weekends. Tennis teacher Charlie Hoang was one of the students PRESENT that day. Hoang moved to Hong Kong from the US six years ago and has been practicing Wing Chun for the last two months. Having learnt Taekwondo before, Hoang was attracted by Wing Chun because the martial art isn't about power. "You don't have to be physically strong. Everyone can do it," he said. Taking time to visit the school during his vacation in Hong Kong, Tristan Charpentier said he had been studying Wing Chun back in France for sometime already. Introduced to it by a friend, Charpentier fell in love with this Chinese martial arts the first time he tried it. "This is where the very famous masters are," Charpentier told me. "[I want] to meet people to see the differences." Charpentier also pointed out that Judo and Tawkwondo are still more influential than Chinese martial arts in France because the latter two have formal competitions in the Olympics, which helps their popularity. However, he added that Wing Chun has stood out from other Chinese martial arts in recent years because of the films about Ip Man. Pergunta: Ving Tsun tendeu a aumentar em popularidade nos últimos anos. Quanto você atribui isso a filmes como a franquia "O Grande Mestre"? Que papel você acha que filmes e dramas de TV devem desempenhar quando se trata de divulgar a cultura tradicional, que muitas vezes é ignorada? Repsosta de Ip Jung: A mídia desempenha um papel importante na popularidade do kung fu. Na China, houve um aumento do número de pessoas que começou a estudar artes marciais após os filmes sairem. No entanto, um número deles não ficam e deixam a prática algum tempo mais tarde. Mas ainda tenho uma opinião positiva sobre a capacidade de filmes e dramas de televisão para promover a cultura tradicional. Portanto, cada vez que um novo trabalho está prestes a sair, eu vou feliz para participar na produção, tais como o fornecimento de materiais ou ser um consultor. Tenho ainda atuado em um ou dois deles também. Pergunta: As artes marciais são uma assinatura da cultura chinesa. No entanto, não parece ter a mesma popularidade no exterior em comparação com Taekwondo da Coreia do Sul ou o Judô do Japão. O que você acha que é a razão disso? A: Tanto quanto eu sei, tanto Judo e Taekwondo recebem apoio do governo. Mas o desenvolvimento chinês do kung fu tem normalmente invocado apenas os praticantes e mestres. Há pouco na forma de apoio do governo. Eu não concordo que Taekwondo e Judô desenvolveram melhor do que o kung fu chinês. Estes anos, kung fu chinês tem visto crescente influência no exterior, que às vezes até mesmo supera a do Judo e Taekwondo. Q: Wing Chun has been rising in popularity in recent years. How much do you attribute this to films like the Ip Man franchise? What role do you think films and TV dramas should play when it comes to popularizing traditional culture that is often ignored? A: Media plays an import role in the popularity of kung fu. In China, there was an increased number of people that began studying martial arts after the films came out. However, a number of them did not stick with it and left awhile later. But I still have a positive opinion on the ability of films and TV dramas to promote traditional culture. Therefore every time a new work is about to come out, I will be glad to take part in the production, such as providing materials or being a consultant. I have even acted in one or two of them as well. Q: Martial arts is a signature of Chinese culture. 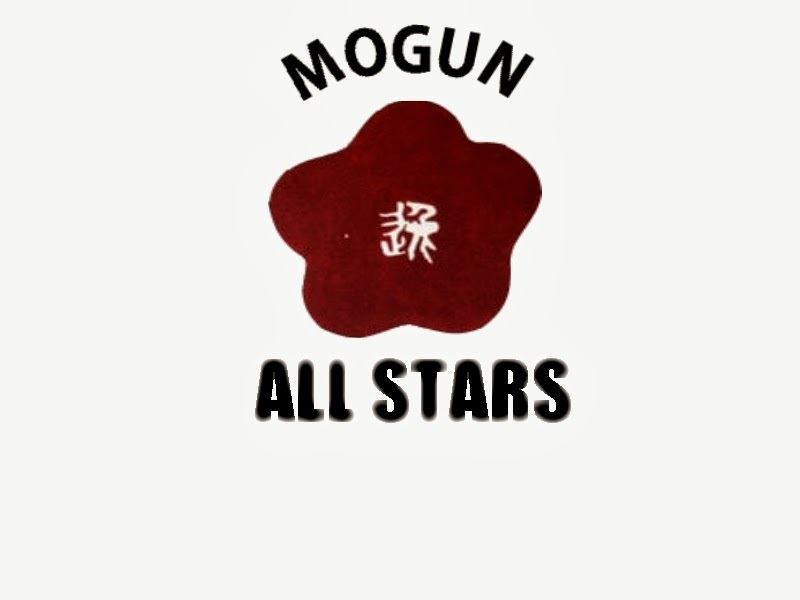 However, it does not seem to have the same popularity overseas compared with South Korea's Taekwondo or Japan's Judo. What do you think the reason is? A: As far as I know, both Judo and Taekwondo receive government support. But Chinese kung fu's development has normally relied on the practicers and masters. There is little in the way of support from the government. I do not agree that Taekwondo and Judo have developed better than Chinese kung fu. These years, Chinese kung fu has seen increasing influence overseas, which sometimes even surpasses that of Judo and Taekwondo. Pergunta: Você expressou oposição à comercialização do Ving Tsun. Você acha que a prática de artes marciais e a busca por retornos econômicos são duas direções opostas? Repsosta de Ip Jung: Eu não estou realmente em oposição ao mercantilismo, mas afeta negativamente o ensino de kung fu se exagerado. Hoje em dia o ensino de kung fu é muitas vezes tratado como um negócio. Tome um exemplo, quando eu estava nos EUA para ensinar Ving Tsun anos atrás, descobri que o que os americanos estavam fazendo era muito comercial. Era como se eles comprassem um serviço depois de pagar a taxa de matrícula. Depois do ensino, o mestre e os discípulos se comportavam como se eles não conhecessem uns aos outros. Não havia nenhuma conexão emocional entre eles. Eu não acho que isso é bom. Pergunta: Como aprender Ving Tsun pode beneficiar nossas vidas modernas? A: Ving Tsun é uma espécie de kung fu que usa o poder brando para subjugar o poder duro. Então, você precisa sempre ficar em um estado relaxado quando você pratica. Esse estado permite que você aprenda a manter uma atitude fácil, mesmo quando confrontados com a pressão no trabalho. Q: You have expressed opposition to the commercialization of Wing Chun. Do you think practicing martial arts and pursuing economic returns are two opposing directions? A: I am not actually opposed to commercialism, but it negatively impacts the teaching of kung fu if overdone. Nowadays the teaching of kung fu is often treated like a business. Take one example, when I was in the US teaching Wing Chun years ago, I found what the Americans were doing was very commercial. It was as if they purchased a service after paying the tuition fee. After teaching, the master and disciples behaved as if they didn't know each other. There was no emotional connection between them. I don't think this is good. Q: How can learning Wing Chun benefit our modern lives? A: Wing chun is a kind of kung fu that uses soft power to subdue hard power. So you need to always stay in a relaxed state when you practice. This state allows you to learn how to keep an easy attitude even when facing pressure at work. Para praticar Ving Tsun no Rio de Janeiro. Acesse o site : www.myvt-rio.org e agende uma visita! To practice Ving Tsun in Rio de Janeiro. Access the site: www.myvt-rio.org and visit our schools!